I'm a full-time comic artist and character designer who loves space, magical girls, and underdogs! 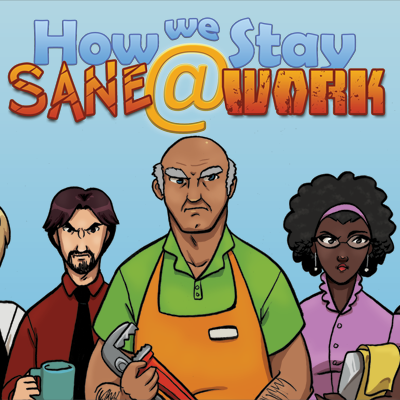 I've been making comics and illustrations since 2011 and recently decided to quit the day job and turn it into a full-time endeavor! Not only do I love making comics, but also physical stuff. There's just something about beautifully-designed useful things, notebooks, sketchbooks, and stickers, that satisfies some deep urge in me. (OK, maybe stickers aren't that useful, but they're still pretty!) Donating to my Patreon will allow me to make more comics and more stuff, while also mailing out some of that stuff to you so it doesn't fill up my house! 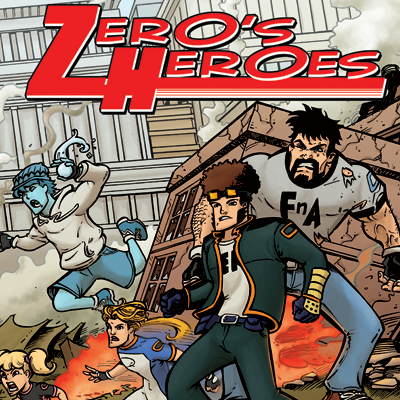 You may know my work from Zero's Heroes or How We Stay Sane @ Work. Now I'm creating a new webcomic about superpowered kids, talking cats, and coming of age. 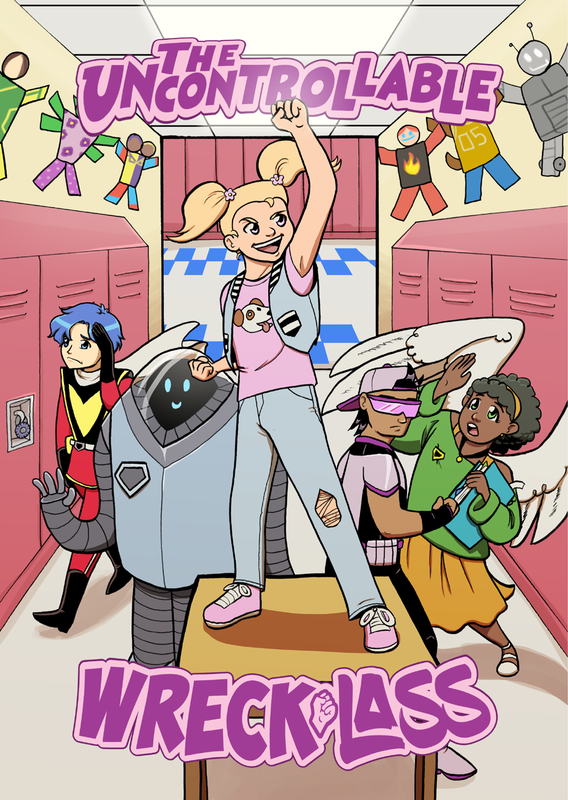 As the world's strongest 10-year-old, Wreck-Lass lived the dream life of being a superhero and punching bad guys, but now she faces a challenge she can't punch her way out of... school! Wreck-Lass gets the full superhero experience when she has to learn to balance her new school and social life while still finding time to take down a villain or two. Updates are every Tuesday, but $2+ Patrons will still get the pages a week before anyone else! $5 Patrons get access to all my thumbnails, inks, and process files monthly! Donating to this Patreon will not only help me pay bills, but also make more stuff and go to more conventions. My goal with this Patreon campaign is to make more of the stuff I love and share it with more people! A little digital love for your computer/tablet/phone every month! Illustrations will vary depending on what I'm feeling that month. 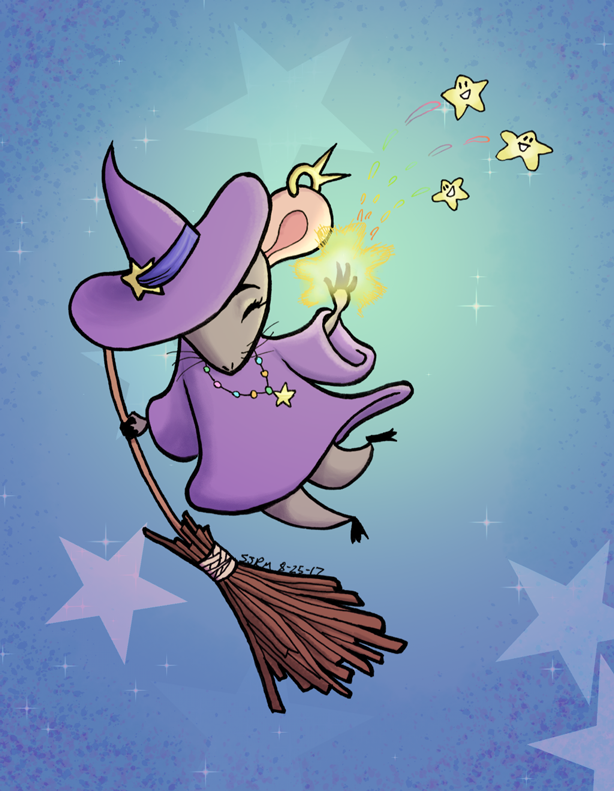 You also get high-res downloads of any art I do for fun! At this level you'll see comic strips a week before they're posted anywhere else! You'll also have access to the monthly Patreon-only stream where you can hang out and request drawings! You will also have access to all previous rewards. I post occasional WIP shots to my social media, but you'll have the full package. I'll scan and upload all my thumbnails, inks, and final high-res files so you can follow the process from start to finish! Every month you'll get a postcard-sized bust commission mailed straight to you! I can draw you, an OC, or your favorite character. B&W traditional inks only. At the start of every month I'll message you for details. $40 a month will cover webhosting, vet bills, and other recurring fees in my life. 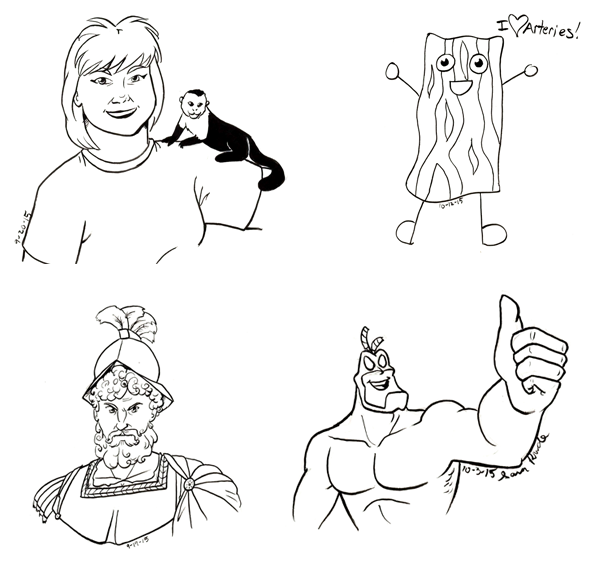 When we hit this level all Patrons will receive a free PDF sketchbook/coloring book! I'll also create a Discord server for us all to chat on, and an extra monthly drawing decided on by Patrons!